The UniFi AC Mesh Pro forms the basis of the UniFi Mesh system. 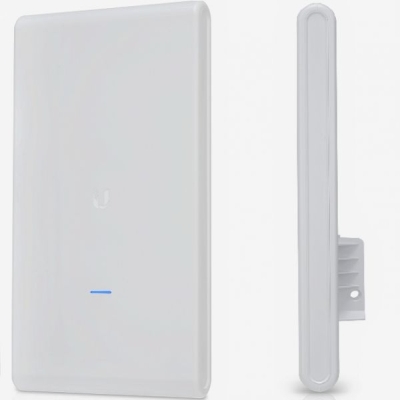 Unique to this outdoor access point is the Plug & Play Mesh technology, with which you can increase the range by adding separate UniFi AC Mesh units to the environment. With dual-band AC and combined speeds of up to 1750 Mbps. 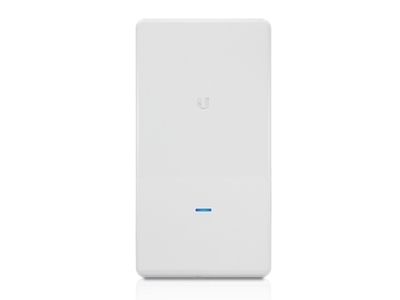 The Ubiquiti UniFi AC Mesh Pro is an 802.11ac 3x3 MIMO outdoor access point with the unique Plug & Play Mesh technology from Ubiquiti. This technology makes it possible to create a large wireless network with limited cabling in outdoor environments. 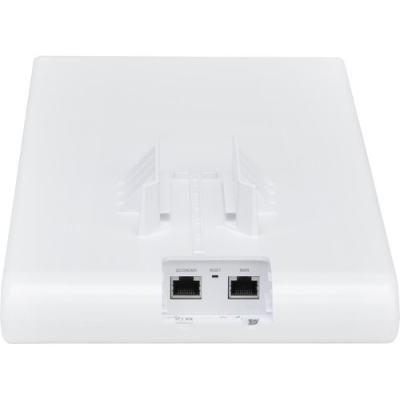 The access point is equipped with two powerful dual-band omni antennas for a large range and supports combined speeds of up to 1750 Mbps (450 Mbps at 2.4 GHz and 1300 Mbps at 5 GHz). Ubiquiti UniFi AC Mesh is a scalable solution, suitable for both small and large environments. The advantage of the UniFi Mesh system is that no cables have to be pulled through and that you can easily extend the range by adding extra access points. 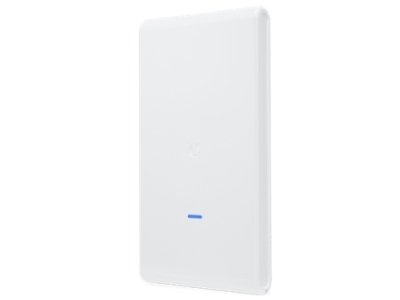 All you have to do is connect the UniFi Mesh Pro wired to the internet, after which you wirelessly connect the access point to individual UniFi AC Mesh access points in the area. All Ubiquiti UniFi AC Mesh access points are managed centrally via UniFi Controller, the user-friendly management system from Ubiquiti that can be accessed from any web browser. Via UniFi Controller you not only change the settings of the access points, but you can also monitor and analyze the network. The status of the network is made clear on the basis of a dashboard, overview maps and graphs. 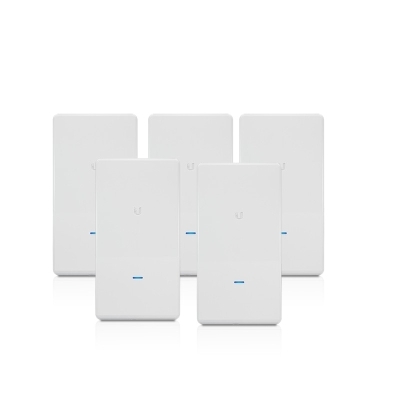 UniFi Controller also offers the possibility to manage multiple locations. Thanks to the robust housing, the Ubiquiti UniFi AC Pro is resistant to all weather conditions. The device can be powered in different ways, namely via the included PoE injector, an 802.af compatible switch or a UniFi PoE switch. With the included mounting accessories you can easily mount the access point on a wall or post.